The Rhino R4T1-e allows the ability to manage your open source telecommunication needs. 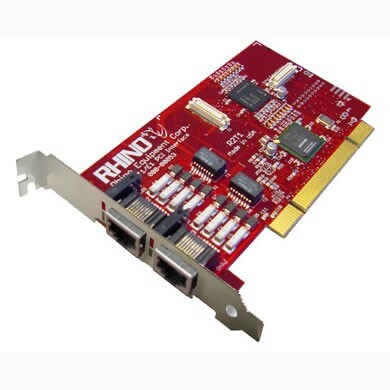 Rhino PCI plug-in cards satisfy the needs of Open Source Telephony (OST) applications, no matter how stringent the requirement. 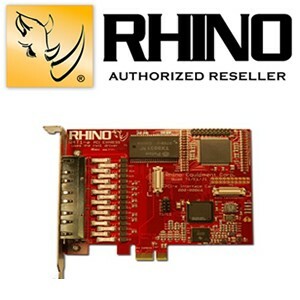 Rhino Open Source Telephony PCI cards feature Asterisk and Linux tested software. Knowing that Rhino products are ready to perform right out of the box means that you can spend more time developing important customer relationships. Using Asterisk? Rhino Open Source Telephony PCI products allow you to utilize analog phones and wiring in conjunction with leading-edge Asterisk technology -- without having to buy expensive IP telephones. Why go IP when you can save on installations by using your existing wiring? With Rhino you can use lower cost analog phones with digital features and guaranteed T1 voice quality, all while enjoying Asterisk VoIP technology for off-premise connectivity. Power Consumption: Maximum power consumption (under full load) will not exceed 100W.